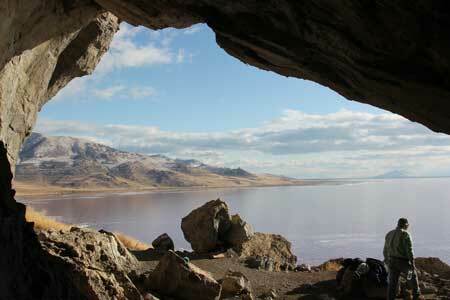 A cave on the shore of Utah’s Great Salt Lake is giving archaeologists a rare glimpse into a seldom-studied aspect of life in the ancient West — prehistoric gambling. 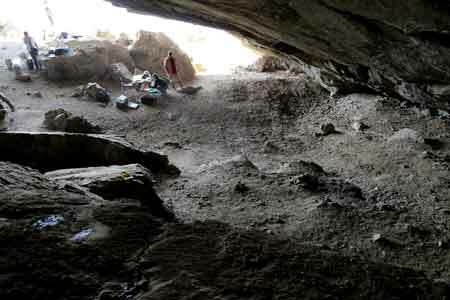 Researchers exploring the cave, known simply as Cave 1, have identified hundreds of dice, hoops, carved sticks and other trinkets used in indigenous games of chance and skill. Based on what they’ve found so far, they project that there are more than 10,000 such items still waiting to be uncovered, making it likely the largest deposit of ancient gambling artifacts ever found in the western U.S.
And it’s only part of the peculiar bounty that archaeologists have uncovered there. Since the 1930s, Cave 1 has proven to hold a profusion of artifacts — including piles of butchered bison and elk bones and hundreds of moccasins, fashioned mostly for children — most of which date to a span of just 20 to 40 years in the late 13th century. Now, archaeologists at the University of Alberta and Brigham Young University are studying the gambling artifacts — discovered both in earlier digs and in recent excavations — in an attempt to piece together the story of Cave 1’s inhabitants: members of an obscure culture known as the Promontory. “The numbers and diversity of gaming artifacts that we see in the Promontory record are unparalleled in western North America,” said Dr. John Ives, an archaeologist who has been researching the Promontory cave complex for years. Indeed, Ives added, gaming may have been more than just a predilection. It may actually have been a useful tool in an epic migration that researchers believe the Promontory people undertook, from their native land in the Canadian Subarctic to their new homes in the American Southwest. “These gaming artifacts reflect an important strategy of interaction in a tumultuous world, where people were negotiating new relationships with each other,” Ives said. Ives and his colleagues have already teased out some compelling chapters of the Promontory story from the heaps of animal remains and children’s footwear unearthed in Cave 1. These artifacts suggest that this group was thriving in growing numbers in the late 1200s — even when other cultures, like the nearby Fremont, who lived just a few kilometers away, had given up farming and were struggling to forage during a time of drought. “In North America, the 13th century saw perhaps unprecedented turmoil, brought about by complex environmental and social factors, one of them apparently being a severe drought in the last quarter of the 13th century,” Ives said. “But the Promontory Culture cave inhabitants were well clothed and well fed. So one theory to explain the preponderance of gambling gear in Cave 1 is that wagering was simply a form of entertainment for the Promontory, a luxury enjoyed by people with resources to bet and time to spend. This recreational take on gaming seems to be supported by the fact that most of the game pieces are dice, made from split pieces of cane, one side being decorated with cut or burned lines, the other side plain. Many of these dice were discovered near the entrance of the cave, Ives pointed out, around a large central hearth, typically seen as a social, domestic space. What’s more, according to Alberta doctoral student Gabriel Yanicki, who is collaborating on the research, dice games were typically played only by women. “In women’s games, stakes tended to be smaller: items of personal property or, quite commonly, to decide who had to do chores like cooking,” he said. Together, these clues suggest that much of the gambling in Cave 1 was done simply as a low-stakes, domestic diversion. 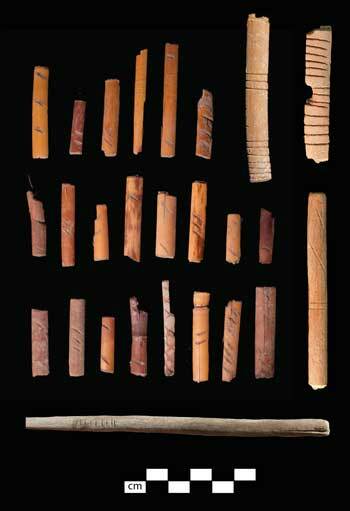 Based on historical accounts of native dice games, the cane pieces may have been used in a kind of board game, in which three to eight dice were thrown to score points. Scoring was based on how many of the marked sides fell face-up, and the first player to reach a predetermined score won the wager. One game, however, could have many outcomes. Because, while men usually didn’t take part in dice games themselves, Yanicki pointed out, they often bet on the results. In historical records of gaming among the Crow, for example, “there are plenty of examples of men and women alike gathered around and gambling on the results of a women’s dice game,” he said. A netted wooden hoop and feathered dart from Cave 1, for instance, suggest that other, more physical kinds of competition also took place. “The hoop-and-pole game is, by all accounts that I’ve read, exclusively a men’s game,” Yanicki said. This, then, presents another possible purpose behind the Promontory’s penchant for gaming. Games may have been played not only for friendly domestic bets, but also for much higher stakes, involving men from neighboring groups. “Gambling isn’t just a matter of recreational play,” Yanicki said. And unlike women’s dice games, they added, this type of inter-group wagering was done by men — and it was not without its risks. Ultimately, the researchers said, the greatest significance of Cave 1’s dice and other game pieces may not just be in how they were used, but in where they came from. The artifacts include gambling tools from nearly every part of the ancient American West, they noted. “There are indications here of far-flung ties that really stand out,” Yanicki said. The cane dice, for example, are similar to those found throughout much of the Southwest, but not elsewhere in the Great Basin, they noted. 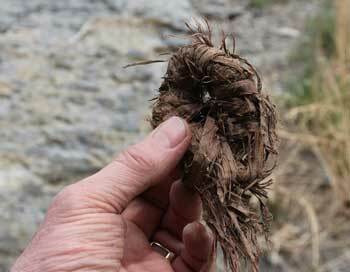 In addition, researchers also discovered a die made from a beaver tooth wrapped in sinew, “a dead ringer for the type of dice used by the Klamath on the Oregon coast,” Yanicki said. “A spiral-incised stick looks similar to objects used in a guessing game played by a number of peoples in northern British Columbia,” he added. And the small sinew-netted hoop and feathered dart are indicative of gambling traditions from the Great Plains to the Colorado Plateau. Though exotic, this array of gaming pieces may not be so unusual in the context of Cave 1, Ives said. Mounting evidence shows that the Promontory were likely recent immigrants from the far north, many aspects of their material culture revealing ties to what’s now northern Canada. This and other clues suggest that the Promontory had only recently migrated to the Great Basin before settling in the cave, eventually giving rise to cultures that include the Apache and the Navajo. So if the Promontory were indeed recent immigrants, Yanicki said, it would stand to reason that their gaming habits, too, would reflect their distant origins. “Either this group was in contact with, or was itself composed of, individuals who had very different ideas about how these games should be played,” he said. “The propensity of the Promontory people for gaming signifies a genuine interest in engaging in peaceful interactions with neighbors extending over the far-flung area in which they ranged,” Yanicki said. “When groups encountered each other and chose to pursue friendly interaction, gambling was a likely outcome. As with the butchered bones and children’s footwear, the myriad gaming trinkets add rare but crucial insights into the story of the Promontory, the researchers said. 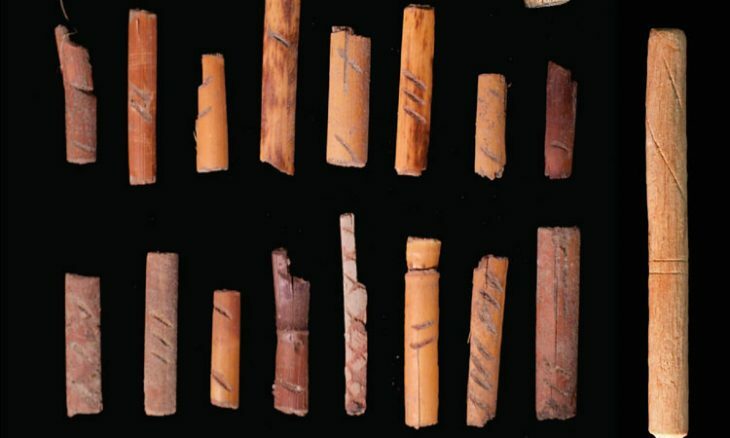 But the dice, sticks, and hoops found in Cave 1 may also shed light on the broader, more social functions of prehistoric gambling — a set of customs that carried clear risks, but also promised less tangible rewards.